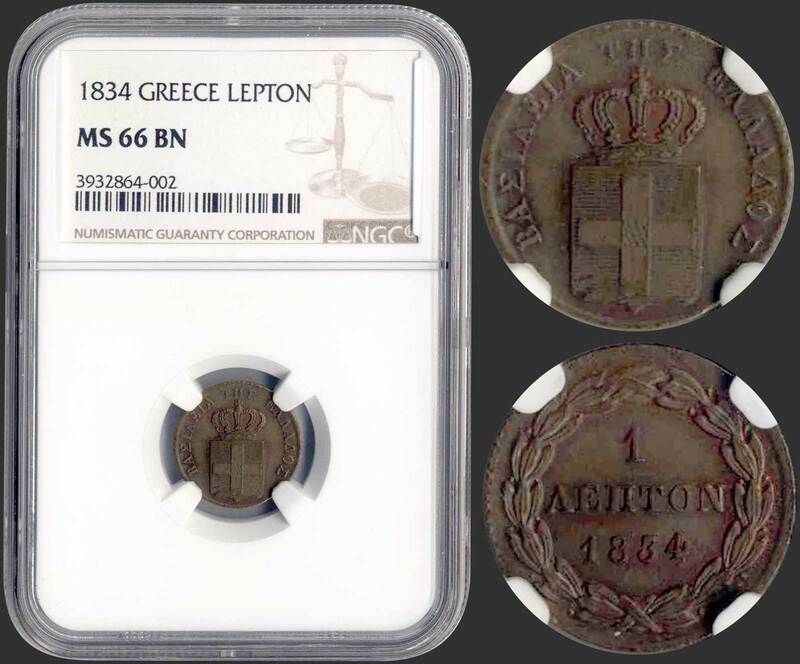 1 Lepton (1834) (type I) in copper with "ΒΑΣΙΛΕΙΑ ΤΗΣ ΕΛΛΑΔΟΣ". Inside slab by NGC "MS 66 BN". Top grade in both companies. (Hellas 23).